In this article we will devote to Reiki symbols of bones. Foundation of Reiki is in Japan. To get to know Japanese culture, you do not have to go to Japan. You can watch videos and learn about Japanese culture in this way. It is necessary to go through videos about ikebana, bonsai, samurai of Japanese monasteries, monuments, cemeteries, religious practices that result from Shinto, listen to drums, Japanese music perfectly processed for meditation and spiritually. You could be interested in everything about meteorites, you can connect remotely to meteorites as if you had a natural sense, do not distinguish between yourself and meteorites, you are like Siamese twins with meterorite. You still have assimilated mind with the meteorite or with Japanese system of Reiki. You feel like identical twin with meteorites, but this is done only mentally. 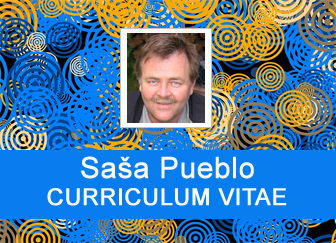 Sasa Pueblo nearly 20 years devoted to Japan and has explored its esoteric and spiritual potentials. It isn´t easy to break into Shinto and get know what it is. It was necessary to watch a lot of videos on Japanese temples and Japanese traditions. 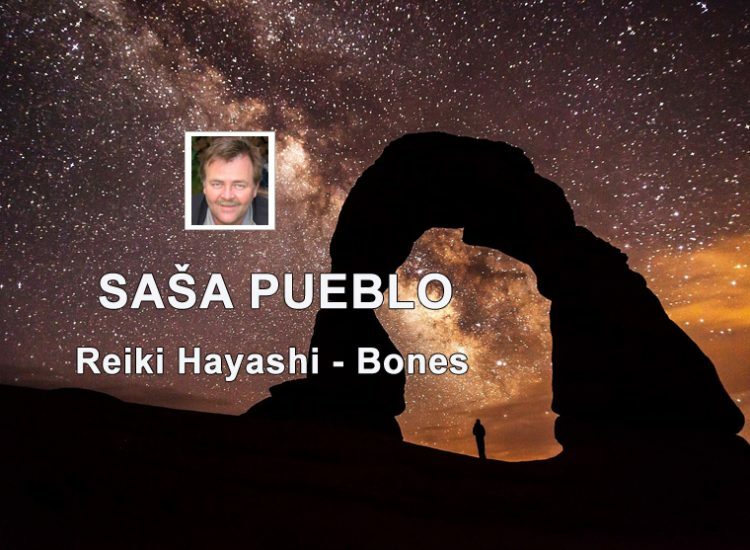 When viewing videos Sasa Pueblo has always been energetically and spiritually connected to places in Japan. As spiritualist he woke up memories of spiritual personalities by bones energy and led interviews about Japanese spiritual mysteries with them. And so memories of Mikao Usui has spoken within a spiritualist seance, where present people gave the power from its own bones. 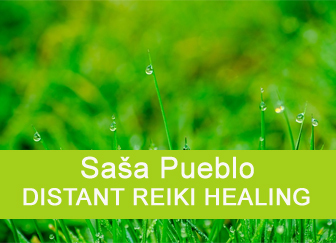 We write here about Reiki system that regards not to esoteric system or any religion or some kind of treatment. It is a platform created by a meditation and certain types of work with meteorites. The fact that this tradition was so strongly developed in Japan is just a coincidence. Reiki is the basis for bridging neurons and the human psyche to various types of meteorites. Who works with meteorites or did something in history, gains the ability to better manage own psyche and neurons of another person. Reiki meteorite is about a certain type of transmission of certain abilities from one person to another person. It is not a transfer of wisdom and knowledge about meteroites. It is actually about movements which the person does or has already done during the life with meteorites. Memories about meteorites movements could be transfered from currently living persons but also already death persons. Living persons who has been consecrated have in the aura above the head the symbol of crystal clear disc with tiny discs. Such symbol have in the aura persons who give consecration to others. This symbol is also above the grave of Mikao Usui and Chujiro Hayashi and also others whose Chujiro Hayashi consecrated. 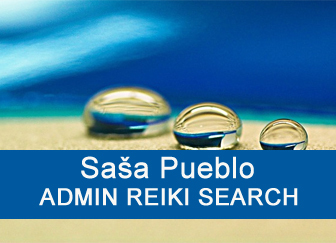 Effort of Sasa Pueblo is to copy each candidate Reiki character straight out from the tomb of persons who gave consecration as first in the history and not directly from Sasa Pueblo who copied the symbol from burial places of Mikao Usui and also Chujiro Hayashi. 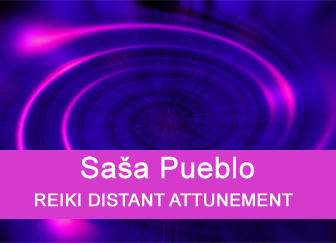 And this is the fundamental difference between classical consecration by a reiki master and by Sasa Pueblo. Reiki meteorite is about how to get Reiki character into the aura of consecrated person and copy them directly from Mikao Usui’s grave. And this is possible to perform remotely. Why you should have this Reiki symbol? Because this sign allows you to more intensively penetrate into your own neurons and better control them. This kind of reiki allows you more intensivelly act into neurons of present or remote person. This also allows you to transfer reiki sign from you into the aura of other person. Furthermore, mastery of Reiki meteorite is also about how to take over experiences of someone else in terms of how many times you move with the meteorite during the life. A movement with so many meteorites that we did not manage to cope in the life. Mikao Usui also got reiki sign (transparent roll) into the aura from another person who worked with meteorites whole life. If you got the consecration into Reiki meteorite, then is necessary for its activation block thinking and activated micro-movement in muscles. Or you do small movements with hands. You can do this with whole body. This leads to activation of the sign in the aura. If you want to think in it, create imaginations of how you would heal, how you would penetrate into other person then its healing power weakenes and you penetrate only into the memory rather then treat other person. This is an important warning. We give such warning to everybody who wants reiki meteortites and consecrate ourselves, but also to treat ourselves and others. Thus, reiki meteorite associated with the consecration is an excellent esoteric basis, but also the basis for the healing practice. I recommend to meditate on the grave of Mikao Usui and Chujiro Hayashi and there repeatedly to the Reiki symbol. I recommend the following tune: tune inside and lock all memory and rationality. You are only able to move. You do not distinguish between yourselves and trees, meteorites or reiki sign over the burial place. You can force your brain not to see and distinguish between you and meteorites, for example, Reiki symbol. Reiki symbol and for example the meteorite is something alive and you’re like twins or Siamese twins. There is no difference in which state you will connect to Reiki symbol over the said graves. Interesting can be also information about reiki meteorite, which is practiced in Tibet and there are known that from meteorites are made statues of Buddha and such reiki already has in itself a clear spiritual content style. And it’s up to you whether you receive this reiki spiritual style filled with Tibetan Buddhism. This is only a side note to the research that we conducted in this direction. 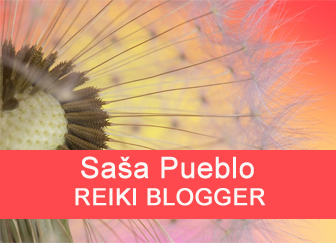 Please note that if you would use Reiki so that you would constantly think about it and create ideas in your head so it may happen that your neurons start to produce some energy objects full of ideas and it can be quite annoying. Therefore it is not recommended in Reiki practice to connect to Reiki symbol in the energy bubble around the body and combine it with the thinking. This can hurt. And some lines of consecrations transfered from America to Europe may be so damaged and mutilated. We know such cases mainly in too thoughtful people how they linked Reiki symbol to their vision and damage their psyche. Most often, Reiki meteorite symbol gets in the human navel area. It should actively work in the energy aura over the person´s head. Thus practiced Reiki works on the way of migraine or causes mild epileptic seisure. If you stop thinking and you block your thinking, then Reiki signs penetrate deeply inside of cells and this can be interesting healing process. Well think twice, from whom you receive a Reiki initiation. I just highlight this line of Reiki. Of course, I want also pay attention to another Reiki symbols. I am still moving in the basic states of Reiki, but this time we exchange meteorites for bones and all kinds of bones such as living human and animal bones, also dead human and animal bones, as well as prehistoric bones like dinosaur and also fossils example stromatolites, trilobites and similar prehistoric structures. And we will be extremely interested in living human bones contested by tuberculosis. I know that this is odd, but it might be interesting to examine bones of Philippine healers and probably would be many surprises on their condition. Of course, not all cases. In principle, in medicine could be applied the principle that the certain type of human disease may treat other human disease states. Bone diseases are ideal pathology for treating other medical conditions. And this applies to the disposal of radioactive substances in bones. On the first place is that whole Reiki system should accept more objects which are no longer about the power of consecration, but about the power of healing effects. This is about specific types of healing objects that are associated with different types of bones which have a significant healers in Philippines, Brazil and Russia. These objects look like small sunflowers, as ardent a rotating disc. And here again comes to copy them and putting into activities in own aura. Copying will be easier because we already have Reiki consecration to meteorite and so we then transfer it to the other person. You consecrate such person and also remains of a dead healer and then there is no problem to get these healing Reiki characters into own aura. Do not take them, but only copy and this is enough. And you can heal almost as the healer on Philippines, but only a little. It is necessary to learn special movements of healers on Philippines and such motions are their rituals. They strongly activate such movement rituals via Reiki bones symbols when they treat ill person. They affect mainly bone sponge and mitochondria inside the bone sponge. They are organelles inside of bone cells and create something as powerful factories. In an aging human body they are often blocked and they start to run with the treatment. So do not underestimate the physical activity of Philippine healers and their tend to perform surgery inside the body. Philippine healers don´t have the roll over the grave, as they hand it over to another healer, so it can be copied only from living Philippine healers. Over the grave of Philippine healer may be perceived by oracular techniques that someone removed the sign and there remained so-called negative footprint. Person who does oracular performance feels it like an empty space where before was something and now this is somewhere else. The trail leads to the living Philippine healer. There is a possibility of such procedure, but removing of symbol from the burial place has extremely dire consequences on the human psyche and leads to particular type of madness, inability to well control own psyche. So I do not recommend such practices. An interesting approach is to copy healing character from the person who was healed by Philippine healer. You find such person by oracular techniques and in strong natural consciousness you connect to the person who is healed and give him meteoritic reiki initiation and copy healing sunflower object from his body. You do something like copy, imprint and you transfer it to your aura. Of course, this kind of characters, which resemble small sunflowers crystal, can also be found in other living healers and well above burial sites, mainly in China, where rituals with living bones are well developed. And, if necessary, you can by oracular techniques find natural grave places where you copy Reiki symbol of sunflower to your aura through Reiki meteorite. Dead animal bones show good therapeutic potency. Also, bones and fossilized prehistoric fossil remains. In the history were also healers who treated with prehistoric bones, bones of large animals and fossils. Specific case are dead human bones which were used by the therapist or healer. Then it is a symbol such as a disk with something like pieces of long white ribbons. This is the object created from movement with death bones. It is not made up of thoughts and imaginations about bones. Beware of this fundamental difference. This is copied through symbols of Reiki meteorite. Activation of such character requires hand movements where you hold human bones. Alternatively, you can connect to bones and in muscles you do respective motion as if you were really moving your bones. These Reiki characters from bones manipulation are not suitable for direct healing but for blocking of disease conditions or inappropriate mental behavior. This can also be very welcome to relief chronic conditions and damages where the treatment is no longer possible but slowdown of disease state is possible. Optionally can be used in cases of cancer. Reiki symbol from dead human bones is used for the manufacture of certain geometric shapes and structures similar to letters and numbers. But rather it’s such an organized web which can block functioning of certain neural connections within the neural network. As instruction can be automatic drawing and automatic writing. Searching for problems of different signs, brands and international fonts. But it is useful to observe how some therapists work with automatic drawing. Again, it is good to perform automatic drawing with pendulum, which is a piece of string with weights which can be a piece of human bone and in addition the miniature piece of metal meteorite.